Set on the beautiful sandy beach of Camp De Mar, the modern H10 Blue Mar (formerly Lido Palace Hotel), with its spacious terraces, is located five kilometers from Andratx Harbor. 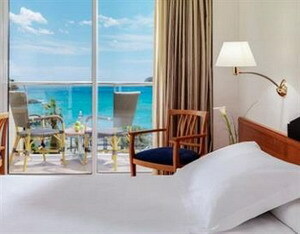 The 117 guestrooms have light contemporary decor and cherrywood furniture. Rooms lead out onto balconies with patio furniture and sea views. 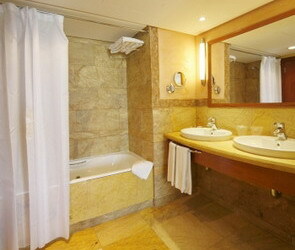 Marble bathrooms have bathtubs, bathrobes, bidets and make-up mirrors. 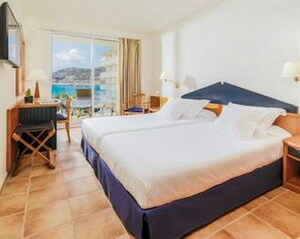 All rooms are equipped with cable television, direct dial phones and minibars. 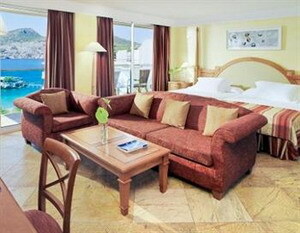 Junior suites include complimentary internet access. Guests can opt for a half board rate, which includes a buffet breakfast and dinner. After the buffet breakfast, guests can enjoy pampering from the menu of beauty treatments (surcharge), or relax in the spa tub, sauna, and indoor pool. Sun-worshippers Can lounge under the parasols on the terraces with a cocktail from the poolside bar, while the more active guests workout at the fitness centre. Children can enjoy the children's pool. If heading out sightseeing, multilingual staff at the front desk are on hand to exchange currency, and the high-speed internet access enables guests with laptops to find out all that the island has to offer. In the evening, guests can sample classic mediterranean cuisine in the restaurant's contemporary setting. 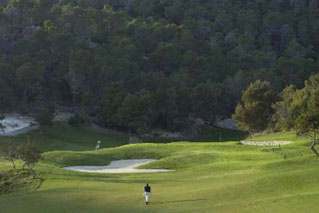 The Andratx Golf Course, which is 200 meters away offers guests a discount. 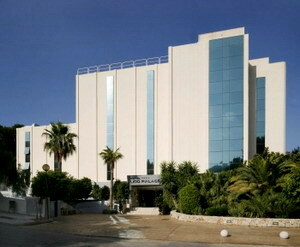 Palma de Mallorca Airport is 38 kilometers from the hotel. Sauna, Whirlpool and Fitness Room free of charge. Beauty and Spa Treatments are available at a charge. 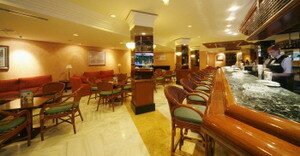 Restaurants: Full Buffet Breakfast and Dinner Buffet with multi choice main course served at the table. Entertainment: Evening entertainment programme for adults, including live music and pianist several times a week. Tourist area of Paguera 5 kilometers. Taxis leave from outside Door D on the Arrivals floor of the airport. There is a bus stop in front of the multi-storey car park, also on the Arrivals floor. The best way to get around the island is by car or bike. A regular bus service connects the airport with Palma, where guests can catch buses to the rest of the island. There are also two train lines running from Plaça de Espanya in Palma. 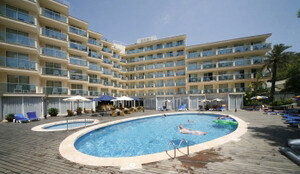 In the evening, discreet piano music, and several times per week entertainment. 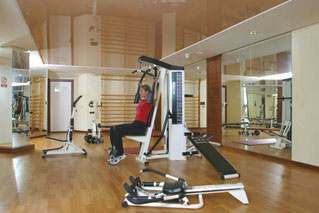 The hotel has a fitness centre with a whirlpool and sauna. Golf: 10%-20% green free discount on various golf courses. 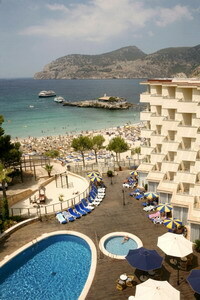 The surroundings are suitable for jogging through nature and by the beach, as well as diving in the bay of Camp de Mar. 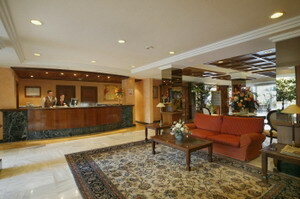 The Club House of the Andratx Golf Course is only 200 meters from the hotel.